The Kingdom of Wakanda is a highly scientifically advanced nation, considered to have technology surpassing anywhere else on Earth. Despite the advanced science of the country much of its culture is steeped in tribalistic rituals that often seem primitive. This contrast is due to the nation rising very quickly from a hunter gather society to advanced modern society in a matter of decades. This rapid technological growth can largely be attributed to the enlighten rule of the nation's monarch King T'Challa the Black Panther. Wakanda has a deposit of a rare metal called Vibranium that is said to have come from a meteorite. Vibranium is one of the most prized metals on Earth for its capabilities of sonic absorption, extreme strength, flexibility and relative lightness. Captain America's shield is constructed from Vibranium. A Dutch mercenary named Klaw discovers the deposit of Vibranium and begins to steal it. He is opposed by T'Challa's father, T'Chaka the then Black Panther. Klaw kills T'Chaka. T'Challa manages to use Klaw's weapon against him and repels him from Wakanda. T'Challa realizes that his people are ignorant of the powers of Vibranium and sets out to learn all he can. When he returns he uses his advanced scientific, business, and political mind to remake Wakanda. By selling small quantities of vibranium the country becomes extremely wealthy. The wealth is invested into infrastructure and technology that quickly turn the country into the advanced state it is in today. 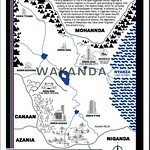 This has become one of my favorite maps for Wakanda it comes from the recent comic and shows both the geographic features as well as some of the political aspects of the state. 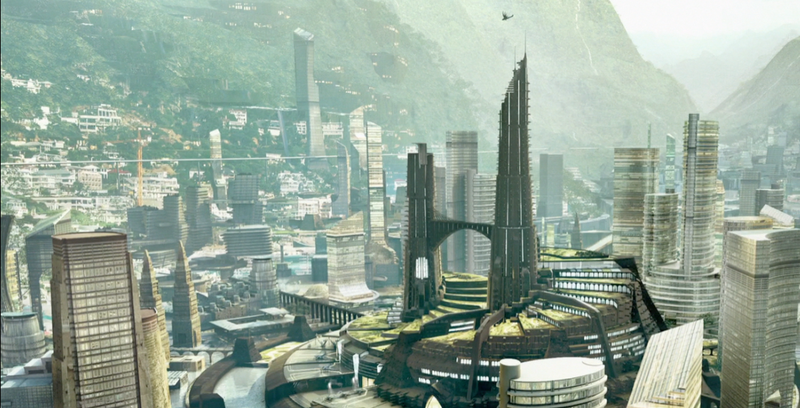 The Wakanda concept art for Black Panther is pretty amazing. 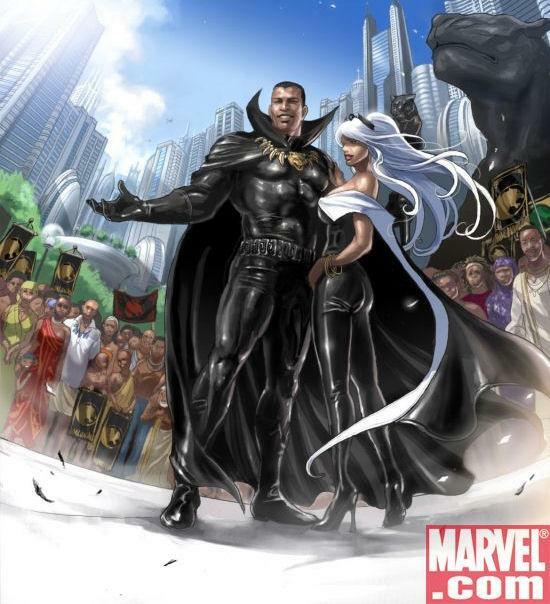 Even in fantasy stories the history, culture and technology of Wakanda make it a very unique place and I think that is really being reflected in the art that is coming out. I really like the way in which you can see old huts and things being integrated with high tech skyscrapers. It really shows the blazing pace of technological innovation that occurred in Wakanda. The only thing I can thing of history that has occurred like this was after Japan opened up after years of isolation. They had struggles with how to modernize while also maintaining their identity. In Wakanda you can also see this struggle which is perhaps even more manifest. They are not just catching up to other countries but blazing past them. 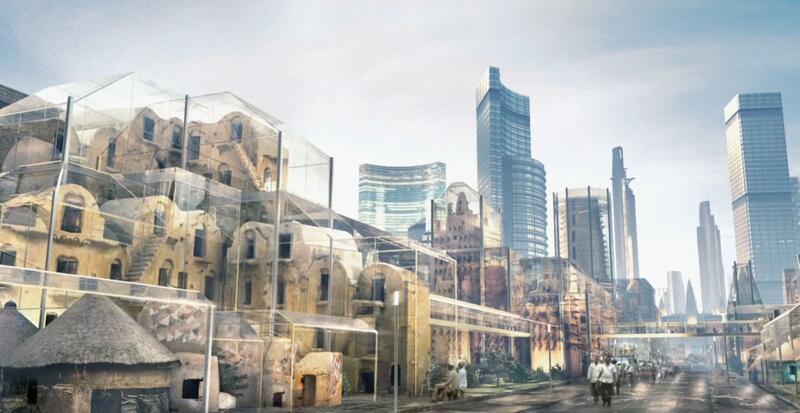 You can see in various of these pictures that Wakanda has taken to preserving old buildings and statues from their past, while creating new monuments all around them. The art gives the impression of history and thought as a place develops overtime and it really tells its own story. 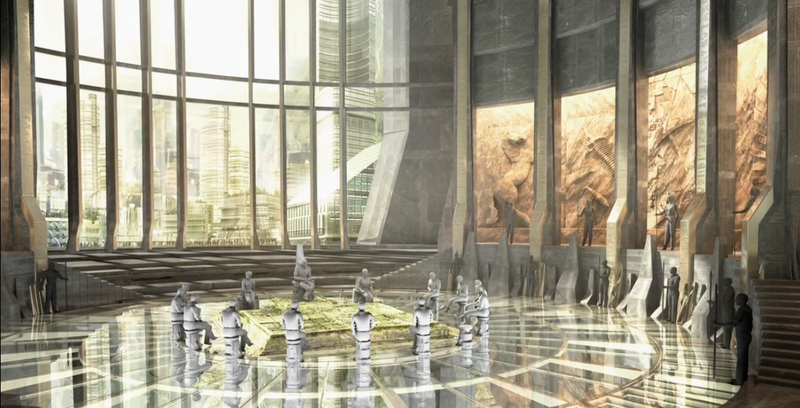 I was really worried that Marvel's Wakanda would just be skyscrapers and giant Panther statues kind of an inch deep comic back drop. However, by looking at this art it gives me great hope that Wakanda will feel very much alive and be telling its own story in the background of the film. Who is Klaw? Why is he central to the Black Panther Mythos?